Flutes carved from bones unearthed by archaeologists at Neanderthal burial sites tell a story: humans have been music-making since the beginning of humankind, spanning every culture throughout the world. 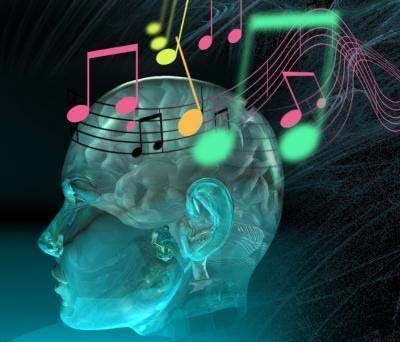 We can theorize that music developed from spiritual rituals and communal customs, but while ancient history and the human brain don’t easily reveal their mysteries, we can be quite certain these days that our brains are wired for music. What we don’t know for certain is whether music was an evolutionary accident as a side-effect of language, or whether music was “selected” by evolution as it may have signified intellect and sexual fitness to a prospective mate. Whatever the reason, studies indicate that music is biologically part of human life. Music activates the pleasure-inducing parts of the brain, the same areas that respond to chocolate and sexual arousal. Serotonin and dopamine are the primary neurotransmitters involved, chemicals that affect mood. Most people in Western societies use music to regulate moods, whether to soothe or invigorate as the desire may be. Other parts of the brain contribute as well; for example, parts of the right hemisphere are involved in processing rhythm. EEG recordings have shown a relationship between brain electrical activity and rhythm perception. In addition, the cerebellum, which is known for calibrating detailed movement, is recently acknowledged as affecting language, attention, and mental imagery. This includes tracking the beat and distinguishing familiar from unfamiliar music. Recent studies suggest that the cerebellum plays a role in the formation and expression of musical taste. An interesting factor is that a person with musical talent has no apparent difference in brain structure than an unmusical person. There is no “Stevie Wonder music gene,” as neuroscientist Daniel J. Levitin explains. However, becoming an expert in anything does change the brain and creates circuitry that is more efficient, and there might be a genetic predisposition toward patience and eye-hand coordination. There is no evidence that animals show appreciation for music. Primates, the species closest to humans, exhibit no interest or affinity toward music, but do respond to simulations involving “monkey sounds” that are familiar to them, and they even react emotionally. But rhythm and harmony, at least in human terms, is unknown in the animal world. I just love this article! I have noted the power of music on mood and performance for a long time and love singing to my dog. I think the more often people can listen to the kind of music that gives them a sense of joy, the greater will be their ability to accomplish their goals in life. Well, actually, there are differences in brain structure between a musical and a non-musical person.